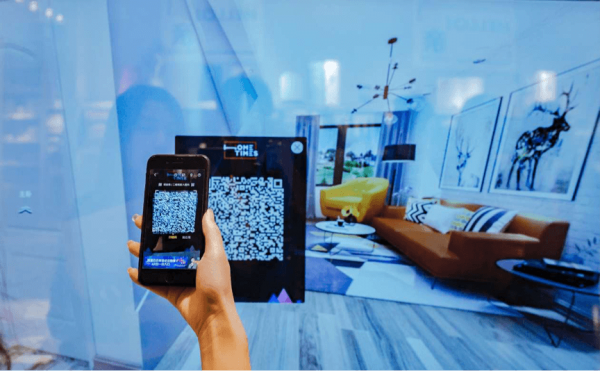 Chinese e-commerce giant Alibaba shows off a new, IoT-enabled furniture store in Hangzhou and announces a new $15 billion R&D program. When it comes to online shopping in China, Alibaba Group is a colossus – but its founder Jack Ma reckons that the next big opportunity lies not in the online-only model, but in offering shoppers a blend of digital and bricks-and-mortar retail services. 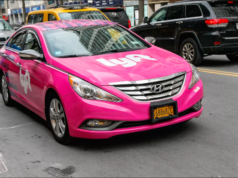 With that in mind, the company has been opening up physical stores at a feverish pace over the last two years, and spending some $8 billion in the process. 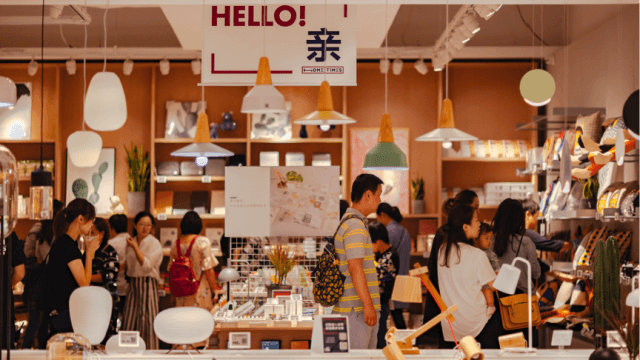 Ma refers to this as Alibaba’s ‘New Retail’ model; examples include Hema supermarkets, where fresh seafood counters are proving a big hit with Chinese consumers, and more recently, Home Times, an IKEA-like furniture store. 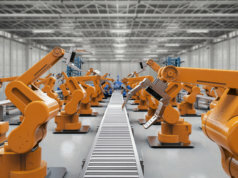 It’s at Home Times in Hangzhou in Zhejiang province in eastern China that the company has recently unveiled its vision of the ‘furniture store of the future’, and unsurprisingly, connected technologies play a big part in this. Since it opened in late September, the Hangzhou branch of Home Times has attracted between 1,500 and 3,000 visitors daily, according to the company. A smartphone is all they need to start shopping from a range of around 20,000 items, including furniture, kitchenware, home decor and stationery. 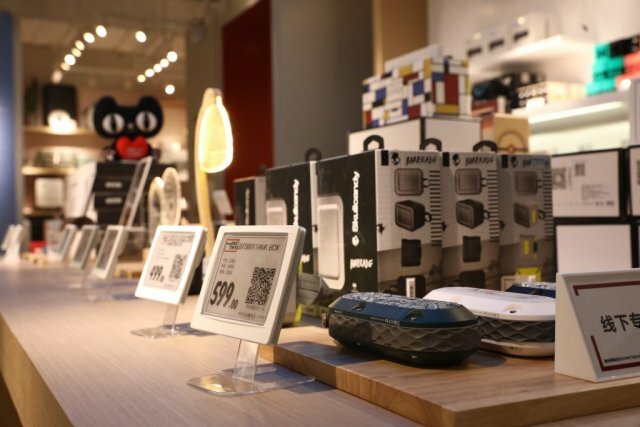 By scanning each item’s QR code with their phone, they can see the product name, price and description, and instantly purchase it using Alibaba’s mobile payment service Alipay. They can take that item with them when they leave the store, or if they prefer, get it delivered to their home. Each individual item for sale also has an electronic price tag, which automatically syncs its price with that being offered online, removing the need for staff to print and replace price tags in order to reconcile online and offline pricing. 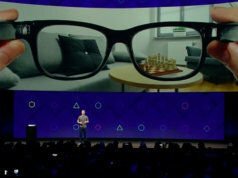 Large screen displays on the walls, meanwhile, enable customers to see items of furniture and decor in a virtual home setting, cutting down significantly on space needed in-store. Analytics are used to understand the behaviours and preferences of users within a five-mile radius of a shop, so that products can be handpicked from users’ top categories and added to store shelves, cutting the time required to source merchandise. 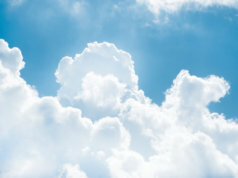 “We have the hardware and know-how to build New Retail-driven stores, and we work with partners that have access to offline channels and expertise in operating physical storefronts,” explained William Cheng, who heads the Home Times project at Alibaba’s cloud retail division. Home Times is set to open two new branches in Hangzhou by the end of 2017 and between 15 and 20 new stores in other Chinese cities in 2018. 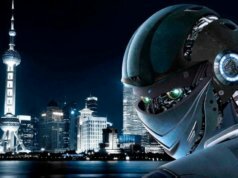 Meanwhile, at Alibaba’s Computing Conference 2017 this week, also in Hangzhou, chief technology officer Jeff Zhang has announced plans to invest more than $15 billion over the next three years in a global R&D program to develop new technologies in areas such as IoT, analytics, human-machine interaction, machine learning and natural language processing. 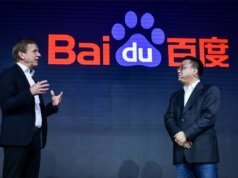 This program is called the Academy for Discovery, Adventure, Momentum and Outlook – or DAMO Academy – for short and will involve Alibaba setting up seven research labs around the world. These will be in Beijing and Hangzhou; in San Mateo, California and Bellevue, Washington in the US; and in Moscow, Tel Aviva and Singapore.